of basic mathematical concepts by playing with geometric shapes. 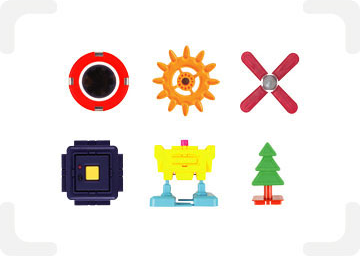 We have enhanced the fun by including a variety of new accessories such as wheels, power generators, engine blocks, R/Cs, LEDs, and gears, in addition to the basic geometric shapes. The inclusion of bright neon colors, pastel colors and other vivid colors, in addition to the eight basic colors already offered, provides visual stimulation to children and helps cultivate sensory and emotional facilities. 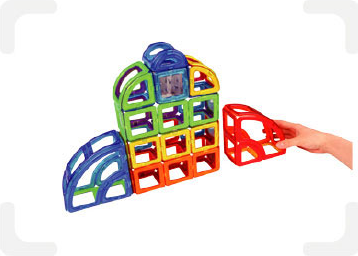 Unlike other blocks that require physical insertion, Magformers pieces attach to each other via magnetic forces so assembling and disassembling is simple and easy to clean up. 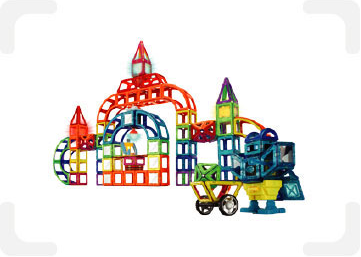 Magformers pieces incorporate neodymium magnets that are five times more powerful than conventional magnets used in other toys, and is a safe, magnetic educational tool that has passed European, American and Korean safety standards. 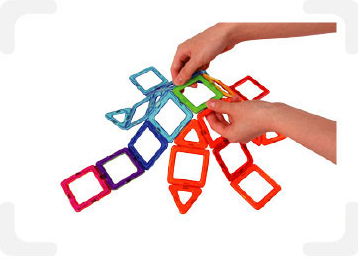 The neodymium magnets inside Magformers pieces allow every piece to attach to each other regardless of their pole. 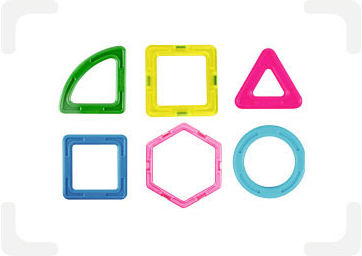 Thus, not only do Magformers pieces stack like normal blocks, they can also connect three-dimensionally and in any direction. 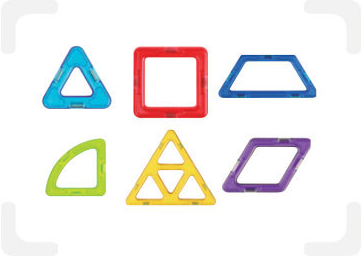 Since Magformers pieces are basic geometric shapes capable of both two-dimensional and three-dimensional configurations, they help develop an understanding of mathematical concepts such as addition, subtraction, multiplication, division, recognizing patterns, etc.